Map It! Okinawa: "A Nameless Waterfall, Kunigami Village"
Not too far from Hiji Falls in an area called Hama, is a much smaller waterfall. As of now, it remains nameless. It has all the resemblance of Fukugawa in terms of its size and beauty. 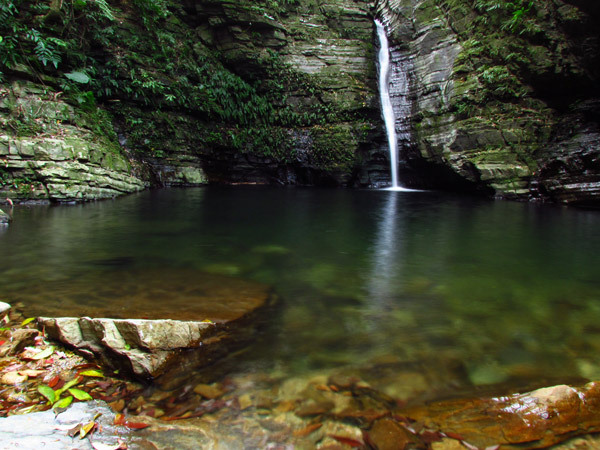 It is not exactly a hidden waterfall with only a 10 minute trek from the road, and a small parking area in the vicinity almost seemingly built for it. 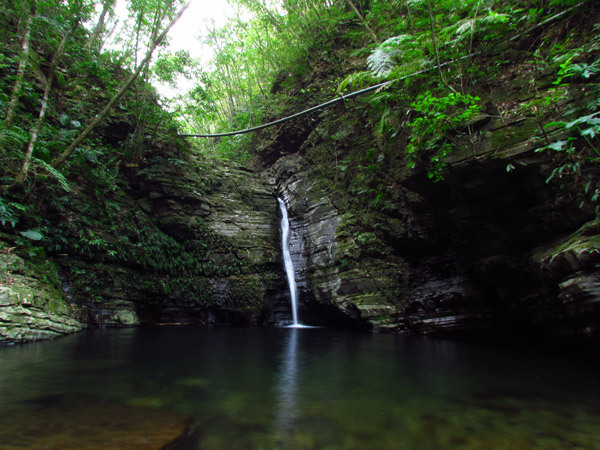 The pool of water is as every bit as inviting as any other waterfall here in Okinawa. There is one blemish to the scenery however, there is a small man-made conduit that is strung over the waterfall. Nevertheless, it is nice place to stop and have an enjoyable time with friends and love ones. CAUTION. Though the trek is only about 10 minutes, it has its small dangers and may not be suitable for very young children. You do have to climb small areas to get to the waterfall. The greatest danger is slipping and falling. Parents use extreme caution with regards to your children. It highly recommended that you assume walking in water to get to the waterfall. Rocks may be slippery. Tennis shoes will not give you enough traction on slippery rocks. Waterfall's Name. The staff at the Yanbaru Wildlife Center did not have a name for the waterfall and was later explained by a town historian that the reason it may not have an official name is because it sits along a nameless water stream too small to be designated as a river. Most waterfalls on Okinawa are named after the river stream they sit on i.e. Hiji Falls sits along Hiji-gawa river (gawa giving reference to a river). Local farmers may have given it their own names, but as of now, there is now official declaration. Directions. 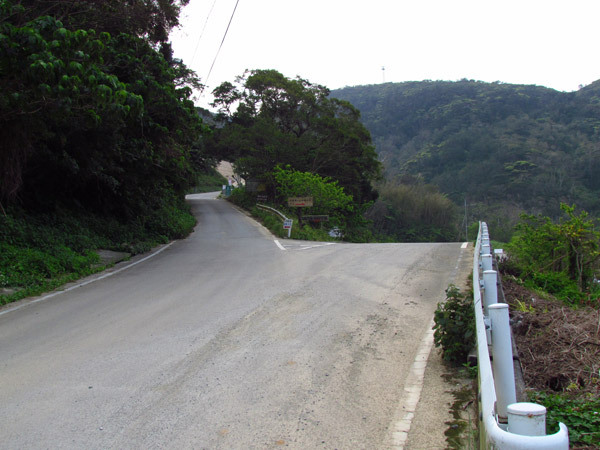 Take Highway 58 going towards Okuma of Kunigami Village. 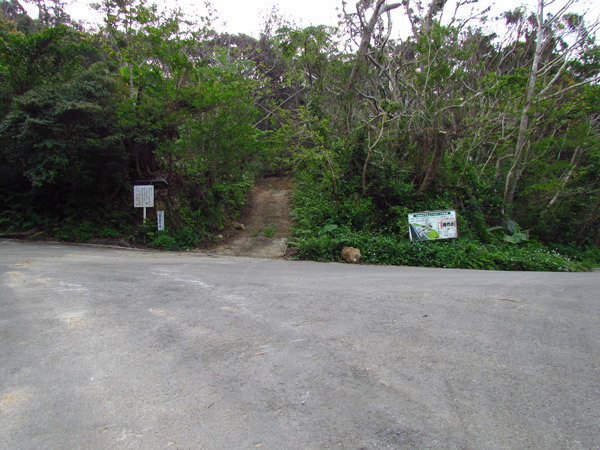 Take the entrance road that leads you towards Hiji Falls (Note: Hiji Falls is closed for renovation till April 2013). 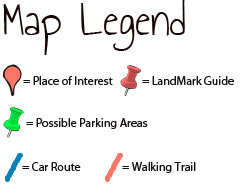 Your first LandMark will be the Y-Fork at the first Hiji Falls parking lot. 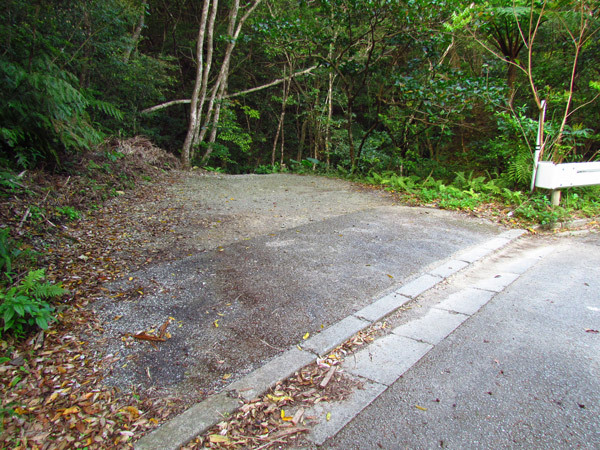 Do not go into the Hiji Falls parking lot, instead veer left. Continue straight until you reach a major Y-Intersection 2 km later. Go right. You will past two bridges(designated by the Landmark Pins in the above map). After the second bridge your next LandMark will be a small water pipe (left-hand side) pouring fresh water near the road. Proceed with caution as local villagers come here to fill their water bottles. About 200 meters you will see a small parking area on the left side. The waterfall is to the left of the road. Advisement. The road may taped off past this point near the parking lot due to extreme road damage ahead. You may not be able to continue past the parking lot. Driving Caution Alert as of March 8th 2013 (Please Read!). At some point en route a portion along the road had buckled and is extremely damaged. It sits along a curve and sneaks up on you if you are going to fast. Construction cones and markers have been put in place with a small detour around the damaged area, but you do have to watch on for oncoming traffic as the detour is for one car only. Please drive at a safe and moderate speed. Other Places of Interest Nearby. The Yanbaru Wildlife Conservation Center. 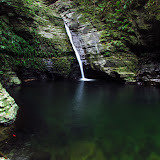 Azaka Falls, Hira Falls, Meoto Falls, Ogimi Waterfall, Taa Waterfall, Todoroki Waterfall, Nameless Waterfall (Fukugawa II). Made the trip based on your blog post, was a great adventure, getting to the water fall was not as hard as I thought it was going to be. Was slippery and slipped one foot in the water once, but other than that was a great time. All the advice and pointers you provided were spot on. 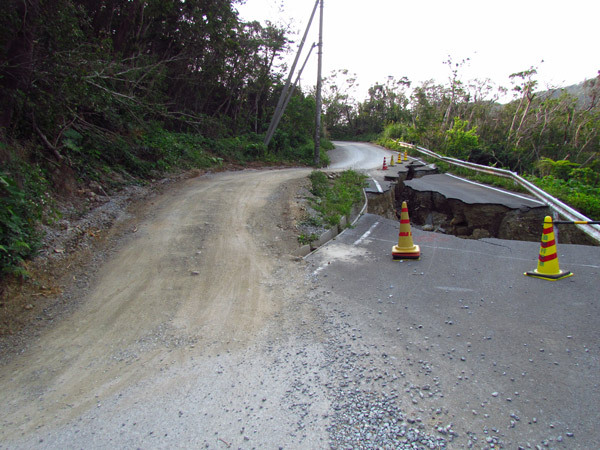 The road is still not repaired as of April 2013. I've posted pictures to Google Earth, I hope they get approved. Eric, thanks for the comments. I'm glad you liked it. Can't wait to get back up in the Yanbaru area myself. It's just a great place! thanks for visiting the site. Be wishes to you, and be safe.